Reiter & Walsh ABC Law Centers Welcomes Euel Kinsey to the Team! Reiter & Walsh ABC Law Centers Welcomes Euel Kinsey to the Team! Reiter & Walsh ABC Law Centers Welcomes Euel Kinsey to the Team! August 3, 2016 /in Michigan Birth Injury Attorney /by Reiter & Walsh, P.C. The attorneys at Reiter & Walsh ABC Law Centers are proud to announce we are adding a new senior attorney and partner to the firm’s team! Attorney Euel Kinsey (formerly of McKeen and Associates) joined us this August, bringing unparalleled birth injury and medical malpractice expertise. Kinsey is a veteran litigator, primarily focusing on medical malpractice, more specifically within the context of birth trauma. He has been practicing for nearly 30 years, and will be focusing specifically on birth trauma at Reiter & Walsh ABC Law Centers. Kinsey is licensed in seven states and currently practices in six, including Pennsylvania, Michigan, Wisconsin, Mississippi, Arkansas, and Tennessee. 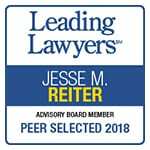 He holds an AV Preeminent rating with Martindale Hubbell (the highest rating assigned by the organization), and has been listed in the New York Times as a Top Attorney in Michigan. 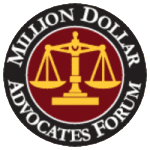 He has also been included in Michigan Super Lawyers, dBusiness Leading Lawyers, the American Registry of the Finest Lawyers in the World, and Sutton Who’s Who in American Law. 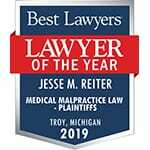 Kinsey is also a faculty member of his alma mater, the University of Detroit Mercy Law School, teaching medical malpractice to upper-level law students. Euel Kinsey is an experienced pilot. He has been a volunteer pilot and member with both Lifeline Pilots and Wings of Mercy East Michigan for many years. He has served on the Board of Directors and as Chairman of Lifeline Pilots. He is also a past chair and member of the Aviation Law Section of the State Bar of Michigan. In 2005, he received the Laurence P. Sharples Perpetual Award from the Aircraft Owners and Pilots Association (AOPA), one of the highest honors given to those in the private sector who have made extraordinary contributions to general aviation. Welcome to the team, Euel!